Most people feel that studying for the bar exam is a full-time job. So, what do you do when you have an actual job to juggle as well? Here are some suggestions for working while studying for the bar exam, along with strategies for making a effective study schedule, ways to handle time management challenges, and thoughts on when to start studying. Want some help to optimize your time? Check out our bar exam tutoring offerings, to ensure you’re studying effectively. Five Tips for Studying for the Bar Exam While Working Although it's best to study for the bar exam full time, this just isn't a possibility for many bar takers. If you're considering studying while working, here are five things you should take into consideration, especially if you're re-taking the bar exam after disappointing results. Working While Studying? "Play" Bar Prep Like You're Playing Risk Working full time while studying for the bar: recommended? No. Possible? Yes. Sarah Eli Mattern, founder of “The Student Appeal” online law journal, gives her expert advice on this important topic. Warning: Working and Studying Can Cause Sleep Deprivation! It's no secret that working while studying for the bar exam can be a challenge. Depriving yourself of sleep and studying while exhausted can lead to disastrous results. In this post, learn about the consequences of sleep deprivation and the importance of rest! How to Study for the Bar Exam While Working So you’ve found yourself having to study for the bar exam while holding down a full-time 9 to 5 job? With our tips on how to organize your time and what material to focus on, you should be able to successfully study for the bar and keep your boss happy. Adulting and Studying for the Bar Exam If you want and need to maintain your job, family, and yes, your sanity intact during bar study, follow these few tips. Need Help Developing a Study Schedule? Your prep course just ended and you're about to start studying on your own. What do you do? First step: make a study schedule. I am Studying All the Time -- But I Don't Feel Like I Know Any Law! What do you do if you've been studying diligently but still don’t know the law? You may not be studying correctly or spending your time well. In this post we discuss how to effectively manage your study time for the bar exam. Bar Study Tip: Establish a Bar Exam Routine In this post, Matt Racine, author of Bar Exam Mind, shares his thoughts on the importance of establishing a bar exam routine in addition to a schedule. Yes, they are different! How to Get Twice the Amount of Time on Your Bar Exam Prep In this post we welcome back Dustin Saiidi of I Passed My Bar Exam who shares his series of videos to helps students study for the bar more effectively and with passing results. Dustin specializes in helping students take the bar exam with success and less stress. Check out the first video of his series! The Daily Schedule You Need to Study for the Bar Exam When you’re studying for the bar exam, figuring out what you should actually be doing with your time every day is easier said than done. Everyone knows what they have to study, but how do you break up your time? In this post we give you are tips for creating a study schedule! Steps to Making Your Own Bar Exam Study Schedule If you’re studying for the bar exam, you may be trying to figure out how to spend your time every day. If you’ve been wondering how to make your own bar study schedule, here are some tips! How to Draft a Study Plan and Stick to It The best way to get organized to study for the bar exam is to write a study plan. Find out why study plans are so important and what your study plan should include. Stop Worrying About Passing the Bar Exam in 10 Days and Get to Work! Should you have waited until 10 days before the bar to start studying? No! Of course not. But, if you did, here are some tips that might help you pass. Getting Ready for Bar Prep? Do These 5 Tasks First To help simplify your life in the final days before the bar exam, and to ensure that you’re able to get the most out of the bar prep period, make sure you’ve completed the following five tasks before bar prep starts. 3 Simple Ways to Stay Motivated During Bar Prep So how is it possible to stay motivated during this period of high stress? Here are three strategies that we use to increase motivation, especially in times when a bar studier feels burned out. 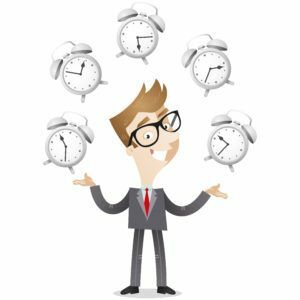 Making a Bar Exam Study Schedule - One Size Doesn't Fit All Studying for the bar exam is probably nothing like what you’ve ever done before. It may be hard for you to figure out at first how to approach it. For me, the start of my bar exam prep course felt like a great unknown. All I knew was that I had a little over two months to cram everything into my brain that would allow me to be “minimally competent” to practice law in my jurisdictions. I had no idea how I would achieve it in such a short time, but what I knew is that many have done it before me and were successful. A Day in the Life of a Bar Studier: Tips for Structuring Your Day Creating a detailed daily schedule during bar exam prep can help you feel more in control of your studying and show you that the workload is manageable if you plan your time carefully. Checklist for Preparing for Bar Prep How can you get ready for bar prep? Below is a checklist to make sure you start your bar prep off on the right foot! When Should You Start Studying for the Bar Exam? Getting an Early Start on Bar Preparation Are you taking the bar exam in February or July? Do you want to know what you can do now to get ready for the bar exam? If you answered yes and yes, this post is for you! Warning, Burnout Ahead! Take a Pre-Bar Exam Study Break Law students around the country are taking the last final exams of their law school career and starting to look ahead to the bar. If you're set to start studying for the bar as soon as finals finish, SLOW DOWN! You may want to consider taking a study break before you start bar prep. Are You Next to Take the Bar Exam? 5 Tips for You! The fact that you're next to take the bar exam will first dawn on you when your 3L friends finish taking the exam. You may find it frustrating that no one really shared with you what you should be doing to get ready for the bar exam. Because of this, 3Ls, we have some tips for you. Bar Exam Studying: What to Do if You Want to Study Now We often receive questions about studying for the bar exam early. Some folks want to study early because they are working full time while others are coming back to studying after taking a long break and want to study at a slower pace. If you are one of these people, read about the prep programs we recommend for you! 5 Tips for Studying Now for the February Bar Exam It may only be early fall, but you might be preparing for the February bar exam already. Whether you’re taking the bar exam for the first time or not, there are things you can do now to help your studying. Read our tips here! Should I Start Studying Early for the Bar Exam? In this post we speak with Dustin Saiidi of I Passed My Bar Exam about one of the biggest questions for bar exam studiers: “Should I start studying early for the bar exam?” This is Dustin’s first in a series of three posts about the advantages and disadvantages of studying early for the bar exam. The Performance Test: Why You Should Be Studying Now As many 3Ls look forward to the bar exam, it's common to feel a bit overwhelmed. Students start to wonder, “What should I be doing right now?” Our answer is simple: start learning about the performance test! Four Reasons to Study Early for the Bar Exam In this post we welcome back Dustin Saiidi of I Passed My Bar Exam to speak about the advantages and disadvantages of studying early for the bar exam. Dustin specializes in helping students take the bar exam with success and less stress. The Best Way to Prepare for the Bar Exam Prep Period In this post we welcome back Dustin Saiidi of I Passed My Bar Exam to cap off his series of about the advantages and disadvantages of studying early for the bar exam. Read his advice on what to do before you start studying for the bar! Can Studying Early Help You Pass The Bar Exam? Most people study for the bar exam for a couple of months, while others take much more time. Everyone, though, can benefit from some early review and practice. In this post we discuss why a little bit of front-loading now can really pay off later. What Are You Waiting for? It's Time to Study for the Bar There are always a few stragglers who wait until the last minute to start studying for the bar. While not everyone needs a full eight or ten week program to study, there are several good reasons to start sooner rather than later. When Should You Take Bar Exam Electives in Law School? The bar exam is an inevitable box you must check off before earning the right to be called Esquire. Recognizing this, many students often wonder whether they need take course covering subjects that may appear on the bar and, if so, when. Fortunately, there is no one-size-fits-all answer to the “When” and “Why” questions of taking Bar-elective courses. How Early is Too Early to Begin Bar Prep We think the important question is, how exactly do you go about early bar preparation? Bar Exam: Starting Early vs Starting Late - The Tale Of Two Law Students This is the tale of the two law students and what the difference is in preparing for the exam. Why the End of Your 3L Year May Be Too Late (and 1L Year May Be Too Early) To Start Thinking of Bar Prep At the start of law school, there is a lot of pressure to commit to one of the various commercial bar-prep programs.. However, making a commitment too early has drawbacks, and once you sign that contract, you’re stuck. Is it likely you can know what you need in a bar prep course in your 1L year? How Do You Recommend Studying While Balancing Family Responsibilities? The bar is a time where you want to be selfish and make studying a priority, but life doesn’t always allow for that. Get advice on studying for the bar while balancing family commitments like children, caring for a parent, etc. Four Bar Exam Obsessions (You Could Do Without) As the bar exam and stress levels is get high, students are becoming obsessed with all things bar exam related. While great focus is a good thing, some of these obsessions are not productive and could actually be damaging to your preparation. Find out what obsessions you should end quickly. Bar Humbug! How to Handle the Holidays and Study for the Biggest Exam of Your Life Studying for the bar is hard, but if you’re gearing up for the February exam, having to study through the holidays can make things even more challenging. If the bar exam is making you uncharacteristically Scrooge-like this year, read our tips in this post. Are You Wasting Time Studying for the Bar Exam? Every bar student knows they need to study for the exam, and they know studying takes a lot of time. But how should you be studying? How do you make sure you’re not wasting time? In this post we discuss the common mistakes students make that waste study time. Ways to Stay Accountable and Keep on Track While Studying for the Bar Studying for the bar exam is tough no matter how you spin it, but it’s even worse if you can’t make yourself focus. Here are some tips to stay accountable while you’re studying so you keep on track. Can the Freedom App Set You Free From Online Distractions? In this burgeoning age of technology we’ve all fallen victim to online distractions. How can you fix this you ask? Well, there’s an app for that. The Freedom App is an application and website blocker that aims to block distractions so that you can simply focus, get more work done and ultimately be more productive. Need to optimize your study time? Check out our bar exam tutoring offerings, to ensure you’re spending the time you do have effectively.